New drive through coffee company (Dutch Bros.) with associated parking,maneuvering,and lasncape improvements. Stormwater will be infiltrated onsite. Preapplication conference for a conditional use. 120unit apartment building with ground level parking. New 4-story office building, adjacent 2-story accessory building, and common public courtyard. 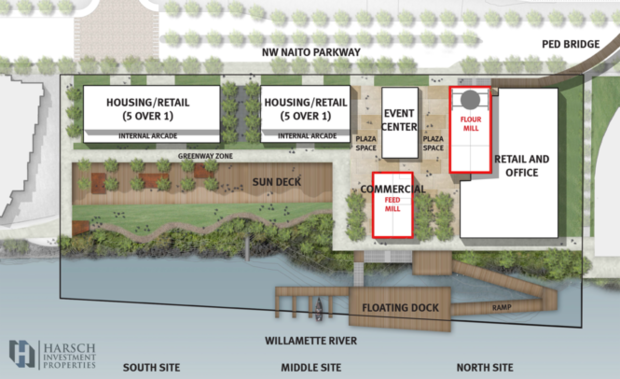 ZGF Architects have scheduled a Pre-Application Conference [PDF] to discuss a new mixed-use building on the Zidell Yards in South Waterfront. 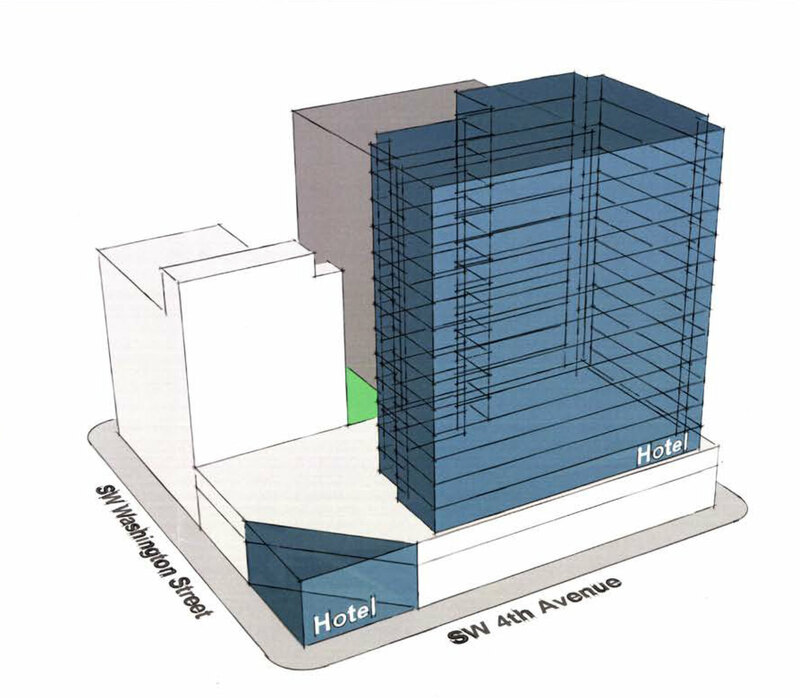 The proposed 8 story building includes 7 floors of residential units above ground-level retail. The project will include 140 parking spaces, in two and a half levels of underground parking. This post is the Part III in a series on Hassalo on Eighth. See also Part I about the masterplan and site design, Part II about the Velomor and and Part IV about the Aster Tower. 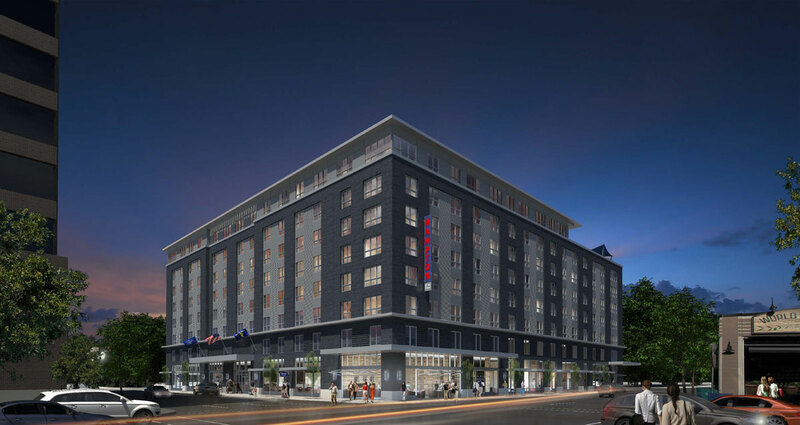 The second building to open in the massive Hassalo on Eighth development by American Assets Trust, GBD Architects and Place Studio will be the Elwood, a five story building with 143 apartments and 26,000 sq ft of retail space. 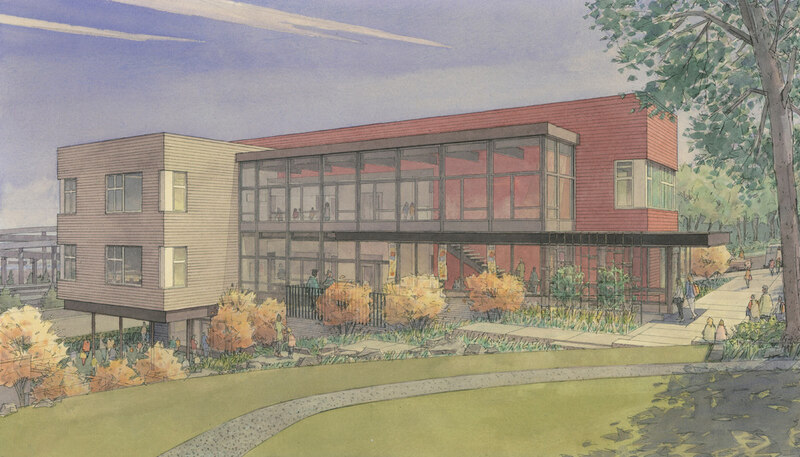 The building will include a mix of studios, one and two bedroom units. The ground floor of the building is intended to be occupied by a specialty grocer, the identity of which has yet to be announced. As reported in the Oregonian, the building is named for a steamboat built in Portland in 1891. Removal of existing one-story restaurant/bar. Construction of mixed-use building with underground parking. Construct a new 4-story 63 unit courtyard style apartment building with ground floor retail/commercial stormwater to be disposed on site with drywells. Narrow 6-story building. 21 units averaging 600 sq ft. No on-site parking or basement area is provided inthe proposed design. Flat low slope roof with contemporary glass faceace [sic]. 18 townhome-style (3-story) apartments with 2-car garages. Project for a 16,786 SF five story hostel development. Ground floor public spaces include lobby, reception area and small office, cafe and assoc. kitchen. A dining area to be used by guests and an associated kitchen to be used by guests are also included. New 4 story mixed use building with ground floor retail and apartments on floors 2-4. A Taco Bell is under construction on NE Weidler in the Lloyd District. The single story restaurant will replace an older Taco Bell previously located on the same site. The primary building materials are stucco and brick. The design is by VMI Architecture of San Rafael, CA. 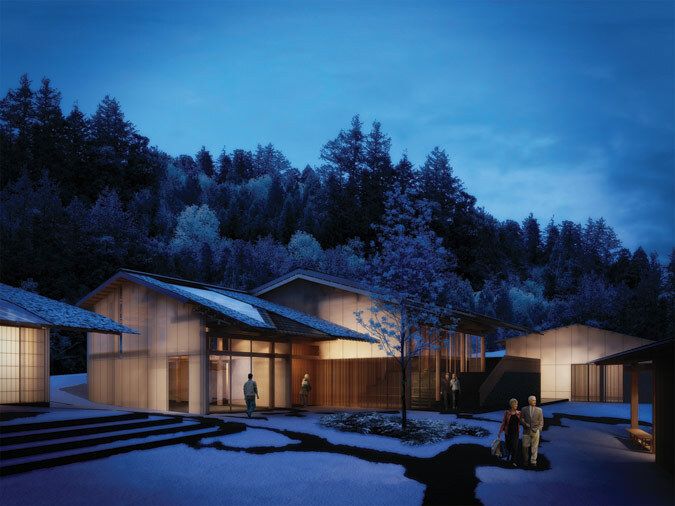 Our weekly roundup includes stories from the last week relating to architecture & development in Portland. The Willamette Week reported that Metro has asked state lawmakers to pass a law that would ensure the Convention Center Hotel will be exempt from a public vote. As part of their ongoing series about the Central Eastside, The Oregonian wrote about the thriving food and drink industry in the rapidly changing area. 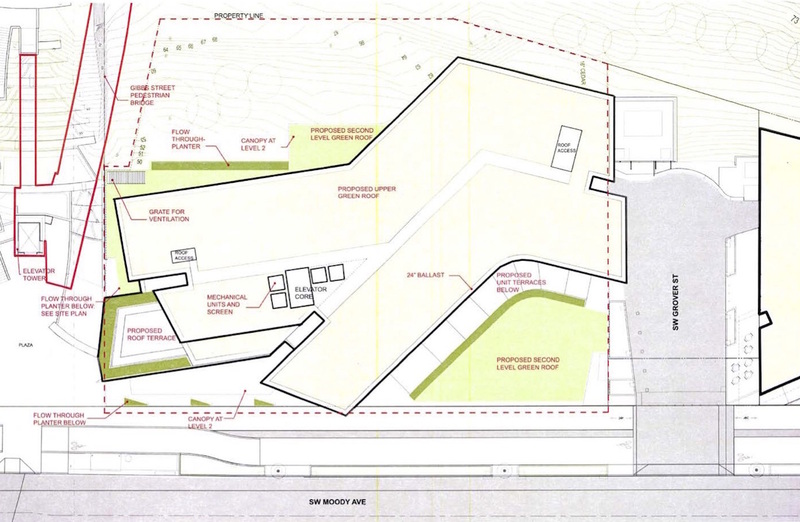 The Land Use Board of Appeals upheld [PDF] the City of Portland’s approval of the Conditional Use Permit for the Japanese Garden Expansion. The project will include new buildings by Japanese architect Kengo Kuma, with THA Architects acting as the local design firm. 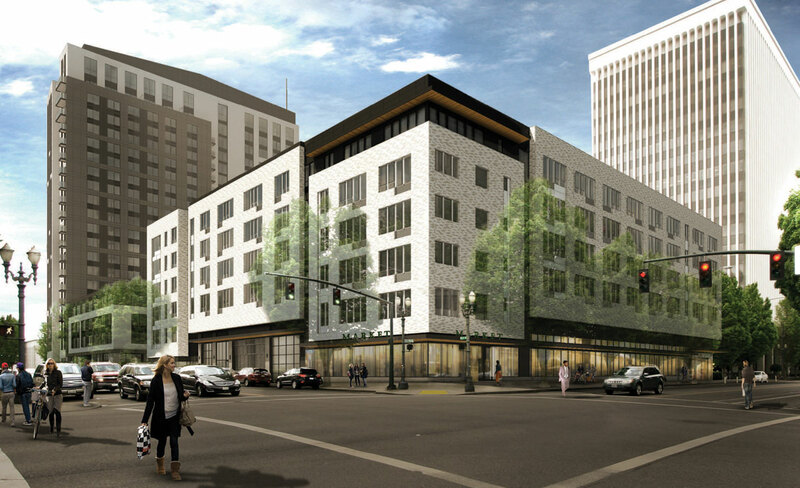 The first images of the proposed Canopy by Hilton in the Pearl District were published by The Oregonian. Urban Works Real Estate will be handling the leasing for the renovated 1320 Broadway building, formerly home to The Oregonian. 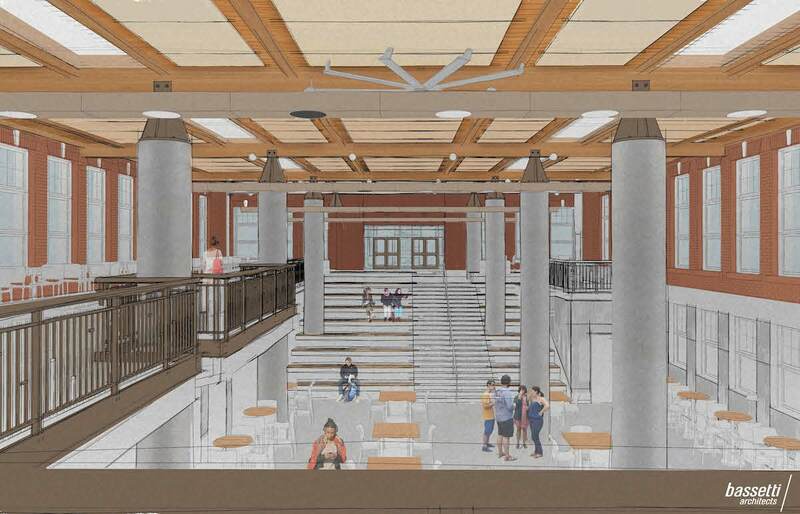 On their blog they sneak peek at some of the updates and amenities the Pietro Belluschi designed building will receive. The Portland Chronicle published photos of the demolition of a house at 1459 SE Ankeny St, where a new five-story mixed-use building is under construction.